Just when NPR thought the Juan Williams fiasco was behind them, another issue concerning the First Amendment rights of employees has arisen. 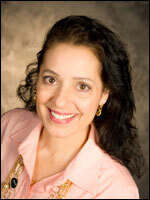 This time it involves someone on the cultural side of the organization - a talented on air host called Lisa Simeone. Unlike Juan Williams, Lisa Simeone is not an NPR News employee and her work and voice are not heard on any NPR News programs. Juan Williams, you may recall, was fired from NPR for statements he made as a commentator on Fox News. This time it involves Lisa Simeone, a freelance announcer who has been the host of "World of Opera" and a documentary program called "Soundprint" - both programs are produced by member stations and not by NPR. For some months, Lisa Simeone has been part of the "Occupy DC" movement. She also appeared on a youtube video as a spokesperson for the cause. At no time in the video is she identified as a public radio broadcaster. Juan Williams, on the other hand, while in the employ of NPR, was on Fox regularly as a paid pundit and was identified by Fox as an NPR News analyst. Williams' appearances on Fox, and his opinions were frequently the subject of complaints to me as the Ombudsman. During my tenure, management demurred and preferred to allow Williams to express himself, along with other NPR journalists who would appear on other media. I made my opinion known to management, but to no avail. Earlier this year, Williams seemed to go too far when he stated that when he sees Muslims at airports dressed in their "traditional garb", it makes him nervous. NPR summarily fired Williams for that statement but did so in a way that appeared to some observers to violate his First Amendment rights. "I'm not an NPR employee ... I'm a freelancer. NPR doesn't pay me. I'm also not a news reporter. I don't cover politics. I've never brought a whiff of my political activities into the work I've done for NPR World of Opera. What is NPR afraid I'll do -- insert a seditious comment into a synopsis of Madame Butterfly?" My own view has been that NPR is right to question Simeone's role as an activist. The public views NPR essentially as a news organization and the nuances of public radio are lost on most people outside the organization. NPR employees - staff or freelance - have a right to their opinions; they do not have a First Amendment right to work for NPR. But a learned legal friend in Washington informs me of a ruling called the Pickering Balancing Test. He writes: If NPR is a governmental actor, it raises First Amendment issues. The courts apply the "Pickering" balancing test, weighing the government's interest with the individual's right. If her NPR commentary is limited to opera, what is NPR's interest in getting her fired for this? Pickering was a New York State civil servant (a corrections officer) who decided one day to fly a Nazi flag from his from porch. His employer (the State of New York) told him not to. He sued and the court ruled that Pickering's First Amendment rights trumped any efforts by a government body to restrict his speech. That seems clear but can demonstrating for a cause would create widespread doubts about NPR's public mission as a broadcaster? In the Pickering case, flying a Nazi flag by a civil servant would not cast doubts on the government who employed him (I assume). The State of New York does not advocate the Nazi philosophy. But could NPR be reputationally affected by the statement of its employees attempting to exercise their First Amendment rights? If NPR management assumes that an employee who engaged in free speech would damage NPR's reputation for excellent news coverage, even slightly, they could ask that person to desist. But after the Pickering case, the employee would also have the right to refuse. My question about the double standard at NPR still stands, yet it's one that most mainstream journalists -- who have taken pains to point out how much more ethical they are than I -- still refuse to ask: why is it that NPR news reporters, which I was not, are allowed to engage in partisan actions? Why is that no conflict of interest? I realize no one likes it pointed out that the emperor is wearing no clothes, but yeesh.